Evil Confrontation Records, black vinyl, The wait is finally over! 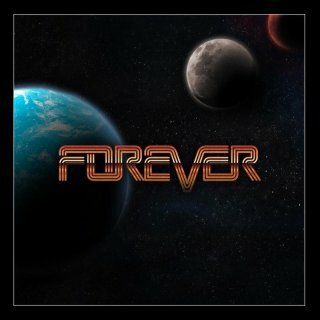 Forever self titled debut album is finally done! After a couple of years of the first glimpse of the band through Youtube, their first album will finally be unleashed on April 19th on the entire world, made up by ten tracks that no fan of classic rock will be able to disregard. The band?s combination of catchy melodies, classic rock, large choruses, and orchestral and electronic arrangements will take you on a trip more than thirty years back in time, to the time when rock was king, yet with it?s own touch and an incredibly tight and organic production. ?Forever? was recorded, produced, mixed and mastered entirely by its mastermind Jonas Wikstrand, also known as Enforcer?s drummer (since their conception more than 10 years ago). Not only this, but he also recorded every single instrument heard on this album with the exception of some noticeable guests on lead guitars: Olof Wikstrand, Eirik Røland and Johan Hjalmar Wikstrand. Not only influenced by AOR, Forever?s debut album will grab you and won?t let you go with it?s catchy choruses and hard rocking riffing, on an entire journey throughout the 80s, displaying the enormous and vast influences Jonas captured on it.